A few weeks ago, I bought a jar of Biscoff Spread with no real plans for it. For those of you unfamiliar with the product, it’s a spread made from those Biscoff cookies eaten by anyone who has ever flown Delta. Quinn loves those Biscoff cookies so much that I usually just give him my pack and go for the peanuts instead. Still, there’s no denying their deliciousness. Their caramel-y, cinnamon-y flavor is a true winner. My first foray into the territory of this spread was actually with a local food truck. Wafels & Dinges serves up amazingly wonderful Belgian waffles with your choice of toppings, including their very own Spekuloos, which is similar to Biscoff Spread. If you’re in the city, I highly recommend finding them and enjoying a fabulous waffle with your choice of dinges. Okay, back to the cupcakes. While I was thinking about how best to use my shiny new jar of Biscoff Spread, I remembered this recipe from Baking Bites. Based on a recipe from the fabulous Donna Hay, these cupcakes are tender and quite tasty. I dolloped Biscoff right on top of these and used a knife to swirl it into the batter. The batter is a bit on the thick side, so swirling isn’t the easiest thing to do. 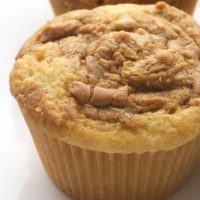 But, because of the thickness of the batter, the swirled Biscoff stays close to the top of the cupcakes and creates a nice, almost-frosting-like topping. If you’re looking for something a bit different, try using Nutella (as seen on Baking Bites) or peanut butter (as with Donna Hay’s original recipe) instead of Biscoff. Biscoff spread is swirled into the batter of these Biscoff Cupcakes for sweet, spiced cupcakes that need no frosting! Preheat oven to 325°F. Line 12 muffin cups with cupcake liners. Gradually add the flour mixture. Mix just until combined. Fill each lined muffin cup 3/4 full (about 1/4 cup batter in each). Place about 1 & 1/2 teaspoons of cookie butter spread on top of the batter. 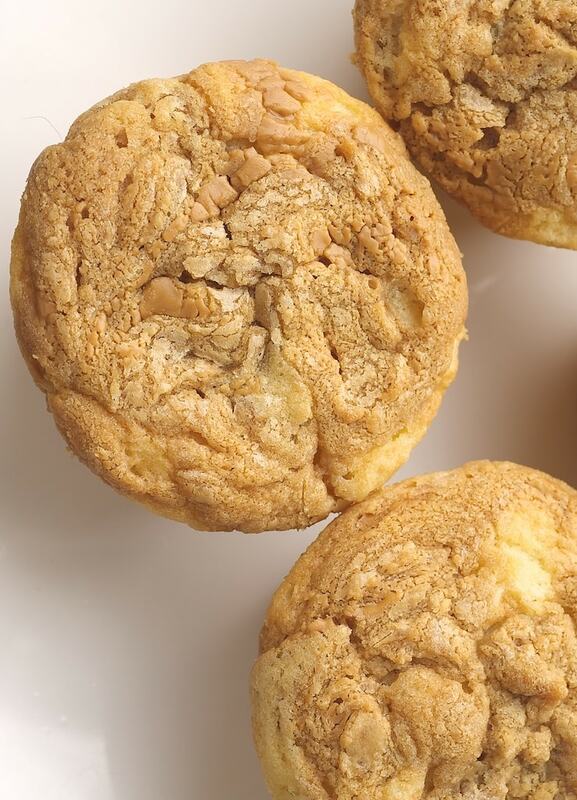 Swirl the cookie butter into the batter using a small knife or toothpick. Bake for 18-20 minutes, or until a pick inserted into the center of a cupcake comes out clean. Cool completely in the pan on a wire rack. Recipe adapted from Donna Hay and Baking Bites.